MABS, the Money Advice and Budgetary Service, is hiring accountants examine repossession cases where lenders are alleged to have charged legal fees to homeowners in advance of court decisions. The investigations could lead to refunds for some people involved in repossession cases. The accountants will also examine documents to see if the way in which mortgage tax relief at source has been processed by lenders may have inflated the level of arrears. The issue was highlighted when three repossession cases were adjourned at Waterford Circuit Court. Three lenders are alleged to have applied legal costs to the mortgage balance of homeowners and to have charged interest before the court had determined the outcome of the case. Mabs said this could be seen to be “usurping” the role of the courts. The other issue involves mortgage tax relief at source (TRS) credits allegedly being incorrectly factored into mortgage arrears, resulting in those arrears appearing higher than they actually are. The full extent of such activity is not known. The Irish Times reported that the decision by the Waterford Circuit Court registrar to adjourn the cases is expected to lead to at least 40 others being further scrutinised. “If the TRS isn’t being applied correctly then there should be refunds and if costs are being applied before a court determination then equally there should be refunds as well,” Michael O’Doherty, Mabs manager for the north Munster region, told the newspaper. 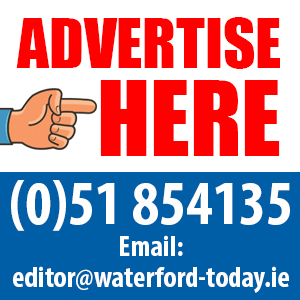 A leading expert, meanwhile, has claimed that no distressed mortgage holders in Waterford who are eligible for the Government’s mortgage to rent scheme should lose their home. Changes to the original scheme’s eligibility criteria now means that an estimated 14,000 home-dwellers in mortgage arrears nationwide qualify for inclusion under the scheme, according to mortgage debt expert, Paul Cunningham. “This scheme can deal with your debt and keep your family in your home with the prospect of buying it back in the event of your circumstances changing,” he said.